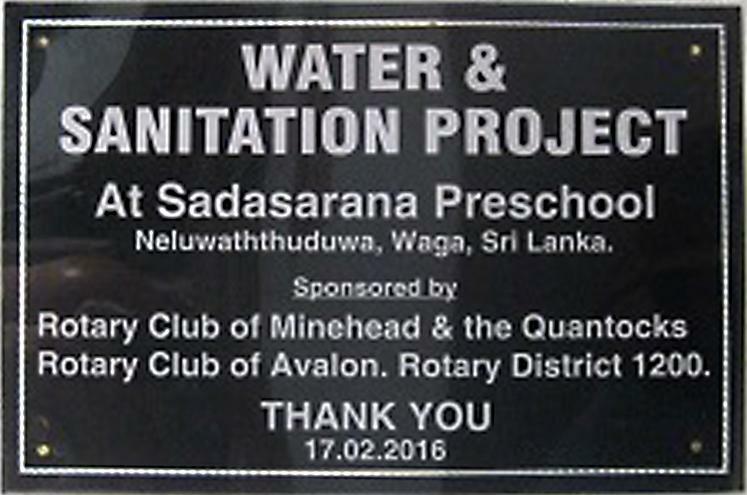 During the Sri Lankan's visit to our District it had become apparent that help was required at the Sadasarana Preschool in the village of Neluwaththuduwa to provide a modern toilet block facility. Initial funding for this was provided by Avalon Club and the Minehead and Quantocks Club, who each provided £1000. 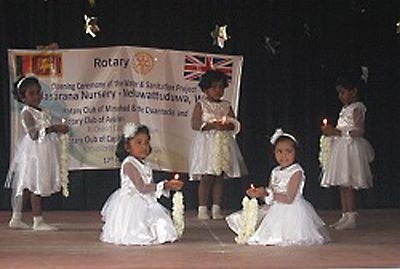 Rotary Foundation matched these sums thus providing a total £4000 for the project. 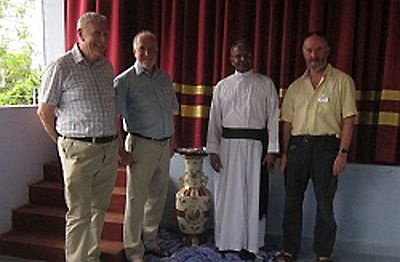 Our District representatives: from right, Mike Love (Avalon), Father Crispin (Colombo Capital), David Yates (Minehead) and Roger Andrews (Minehead).